It wasn’t the first time Pablo Villavicencio delivered pizzas to the base. But on June 1, on a run to the Fort Hamilton military base in Brooklyn, N.Y., Villavicencio was asked by security to provide an ID. As he had done in the past, he presented his New York City ID—a free, government-based ID card available to all city residents regardless of their immigration status. According to BuzzFeed News, the guard asked for further identification, and when Villavicencio wasn’t able to provide it, the deliveryman was directed to get a daily pass. During that process, Villavicencio, an Ecuadorean immigrant, agreed to a background check, during which officials discovered an active Immigration and Customs Enforcement warrant. 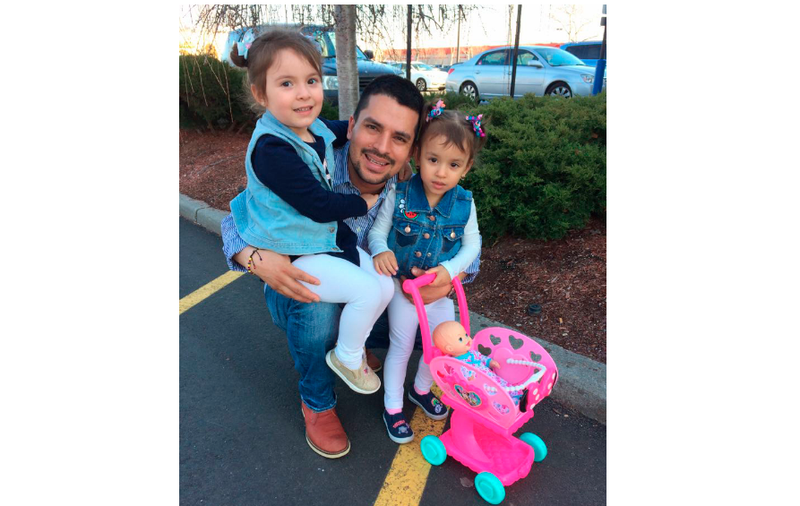 Villavicencio was immediately detained by military police and released to ICE, which brought the father of two to a detention center in New Jersey, where he now awaits deportation. ICE spokesperson Rachael Yong Yow told BuzzFeed News that Villavicencio was “granted voluntary departure” in March 2010. When he remained in the U.S. past July 2010, his status was changed to a “final order of removal,” making him an “ICE fugitive,” Yong Yow said. Villavicencio’s wife, Sandra Chica, a U.S. citizen, said at a press conference on Wednesday that they had applied for a green card for Villavicencio in February of this year—that process was still pending at the time of his arrest. The couple, who got married five years ago, have two daughters, ages 2 and 3. New York City Councilman Justin Brannan says, “We still trying to figure out what happened,” according to USA Today. “Pablo has personally delivered to the Army base in the past without incident. “We’ve got a family that’s being torn apart, and they’re fighting to see if there’s any recourse,” he added.